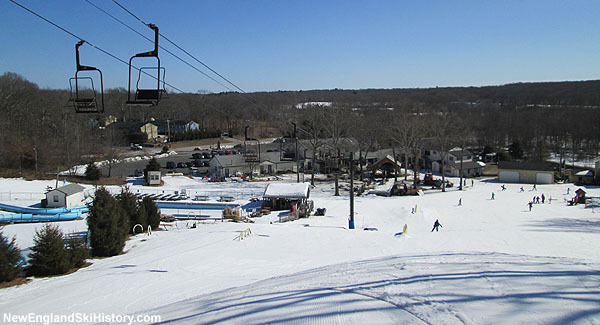 Located in southern Rhode Island, Yawgoo Valley is Rhode Island's only operating alpine ski area. Yawgoo's ski history likely dates back to the mid 1964, when ski trails were cut on the 295 foot southeast peak of Yorker Hill. A University of Rhode Island student named Max de Wardener was part of the construction crew. Yawgoo Valley likely opened as a small rope tow served area for the 1964-65 season. 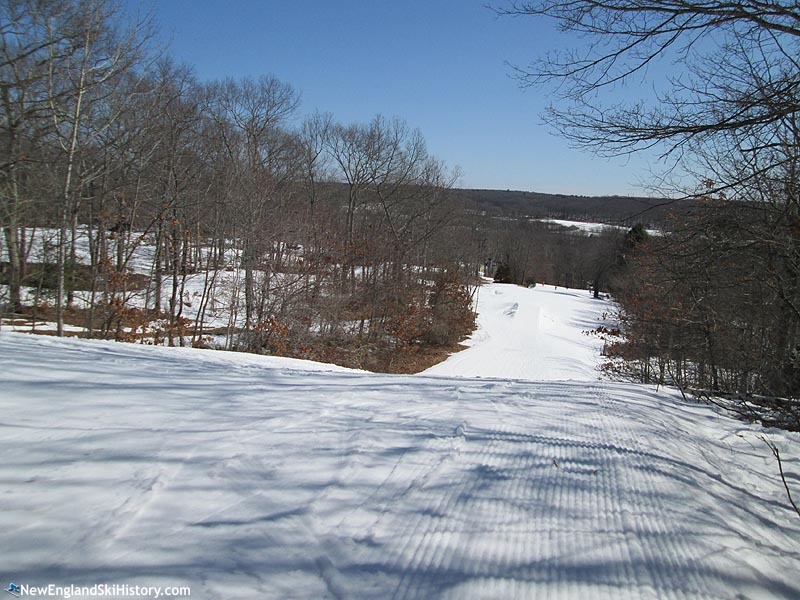 One year later, a new Hall double chairlift was installed, making Yawgoo Valley Rhode Island's first chairlift served ski area. Heading into the 1970s, school teacher Max de Wardener ran Yawgoo's ski school. Learning that the ski area was for sale and that he could lose his ski school business, de Wardener's Ski Pro, Inc. purchased Yawgoo Valley from Richard Downs for $300,000 in December of 1980. Meanwhile, Rhode Island's other ski areas were on the verge of closing. With the closing of Ski Valley after the 1984-85 season, Yawgoo Valley became the state's only ski area. In order to stay in business in an otherwise difficult winter climate, non skiing activities such as a water park and snow tubing were added. A second double chairlift, named Conan, was installed for the 1989-90 season. Since then, Yawgoo has invested in its snowmaking infrastructure, ensuring it can operate throughout even mild winters. Yawgoo Valley continues to operate to this day for skiers, snow tubers, and waterpark-goers. "Stuart, you are correct about the addition to the vertical but NOT about the fill that was used. The material was boulders, stone, and gravel from the construction of Mill Pond Rd. which was built due to the closing of the Amtrak rail across Yawgoo Valley Rd. Mill Pond Rd., connected to Liberty Rd. and a bridge over the tracks was constructed so residents in the area would not be trapped by a forest fire. The trail that resulted is called North Forte (not forty) the company that constructed the road and dumped the material." "It should be noted that Yawgoo is one of a very few ski areas that increased its vertical in the late 70's with the establishment of a landfill (garbage dump) on the summit. I believe it brought their vertical to just over 200 ft, from 175. I started teaching there in 1974, for 2 years, moving on to Sugarbush and then Utah."